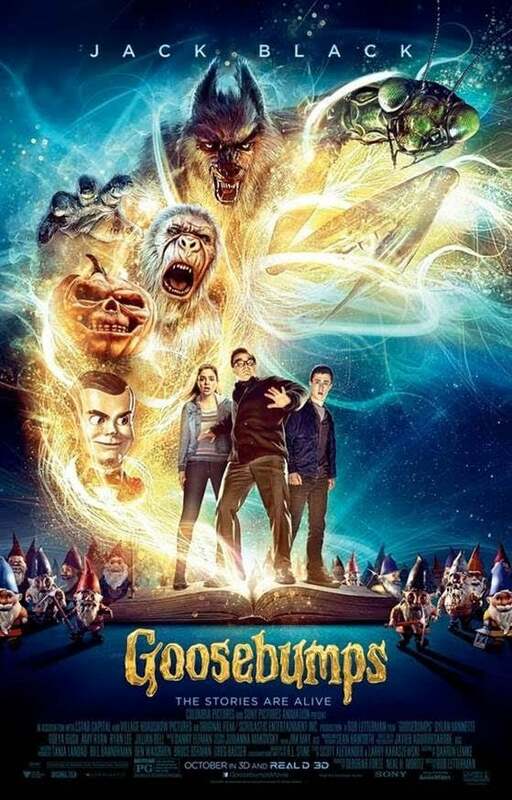 Goosebumps Movie Review Plus Meeting The Goosebumps Cast! 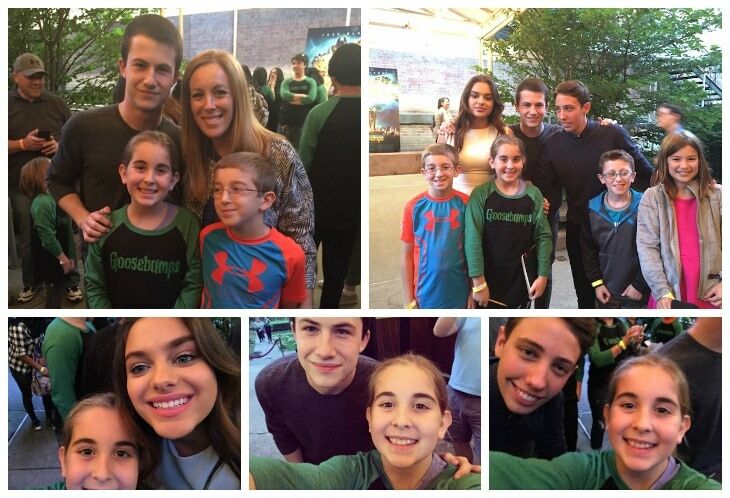 Lady and the Blog → Movie and TV Reviews → Goosebumps Movie Review Plus Meeting The Goosebumps Cast! 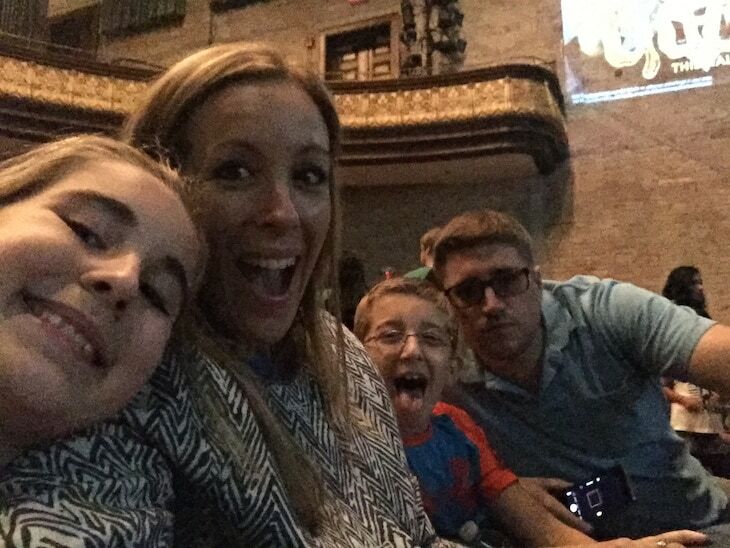 My family was lucky enough to get a sneak peek of the new Goosebumps movie and meet the Goosebumps cast thanks to Columbia Pictures, my friends at KidzVuz, and alternative film screening company Rooftop Films. The venue was an amazing Staten Island, NYC location called Snug Harbor & Botanical Garden. The spot was chosen because of its amazing history. Robert Richard Randall founded Sailors’ Snug Harbor as a “haven for aged, decrepit and worn out sailors” with his benefactors’ bequest of 1801. They set up a “Path of the White Lady” haunted tour of all the amazing, beautiful, old buildings. It was awesome and a great way to get into the Halloween and creepy Goosebumps mood! It’s kind of dark, but hey, it’s a movie theater! After some snacking on popcorn and pretzels, we went in to see the movie in a beautiful old Music Hall. It was gorgeous and a perfect spot to see this really great flick. Natalie and Liam (sorry Caleb) were SO EXCITED to see the movie. The hundreds of kids in the audience were, too. It was like a Springsteen concert…just for kids!! LOL. Scholastic has sold over 400 million Goosebumps books worldwide in 32 languages in print since the series introduction in 1992, earning critical acclaim and dominating global best seller lists. R.L. Stine has been recognized as one of the bestselling children’s authors in history. Now, the literary phenomenon is coming to the big screen!!! The Goosebumps movie was amazing. It was the perfect translation from all the hundreds of wonderful, fun, and slightly (kid) scary stories and monsters from the great R.L. Stine. The really cool part…star Jack Black played R.L. Stine in the movie and a whole bunch of the books and monsters were included in the movie, with Slappy the Dummy as the ringleader. It was great fun, the kids loved it (all of them), and so did we. It’s perfect, really, especially for this fun Halloween time of year. Fans of the books or not…you will likely love this movie. It’s just good, clean, kid safe fun. Sure, there are some little scares, but it’s all in good fun. Crazy monsters, funny lines, and a great cast really make the movie pop. I’m so happy we were able to check it out. Here’s the trailer…a great little taste yourself! I’m sure you’ll want to go see it after this. After the screening, and the kids in the theater going bananas, we were treated to a very sweet q&a with the Goosebumps cast moderated by Dan Nuxoll of joint sponsor Rooftop Films. They allowed maybe a dozen kids to ask questions to the cast. It was a really nice interaction, and the kids really loved it! Natalie even got to ask the first question, “What are your favorite monsters”, and even answer them back!! They were great. Very nice, very honest. It was a lot of fun. What a treat – the movie, the conversation, and the Goosebumps cast as a whole. When the q&a was over, we had the luck and pleasure to go backstage and have an up close and personal meet & greet with director ROB LETTERMAN, and the Goosebumps cast, DYLAN MINNETTE, ODEYA RUSH, and RYAN LEE. They were incredibly nice and so accommodating with the kids. Pics, selfies, questions were all no problem. It was all about the fans at that point, and the did it well. It was the perfect capper of a great day. Natalie and Liam will be talking about the movie and the fun after for a long time to come!! The Goosebumps cast was amazing.